Mabton School Administrators are always looking for ways to foster an even safer and more caring school community. Mabton School District has added SchoolMessenger Quick Tip to our website to ensure that students, staff and parents have a voice to report issues that may impact their peers and or schools. Quick Tip allows school administrators to receive tips at any time and have the ability to respond in a timely manner to issues that impact the school or individual students. The reported issues range from peer pressure, campus violence, depression, suicide and bullying (to name a few). 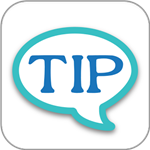 Students, staff, parents and other stakeholders can visit the district website to gain access to Quick Tip. Users can identify which schools receive the tip, select an appropriate topic from the dropdown list, write the message and submit the tip. Users may choose to communicate anonymously or non-anonymously. Mabton School District’s Safety Quick Tip app is available for both iOS (iTunes App Store) and Android devices (Google Play). Launching the app for the first time, you will be prompt to enter the school district code. This code will link your Quick Tip app to your district’s form. The school district code is Mabton.